Bo Beep Bo Beep debut on the top spot of Japan’s Oricon daily chart, 20068 copies sold in one day, hooray!!! Update: The single went on to top the weekly sales chart. Congrats. 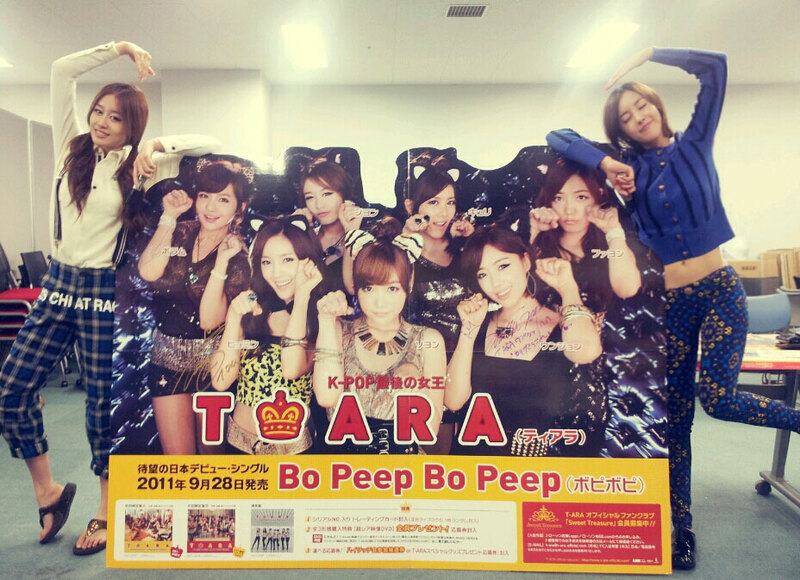 Huge billboard in the streets of Tokyo, promoting T-ara’s Bo Beep Bo Beep – their first Japanese single album. Latest promotion pictures for T-ara’s Japanese debut Bo Beep Bo Beep single-album, taking their original feline concept to a new level. Album jacket images for T-ara’s Japanese debut single, Bo Beep Bo Beep, releasing September 2011.